Holy mackerel! We admit that the idea of Fish flavor e-liquid was a little out of plaice, but we haddock the best intentions at heart. Hopefully you weren’t caught off guard by this red herring – that’d be a real pain in the bass – and rest assured we’ll change our tuna once April Fools’ is over. 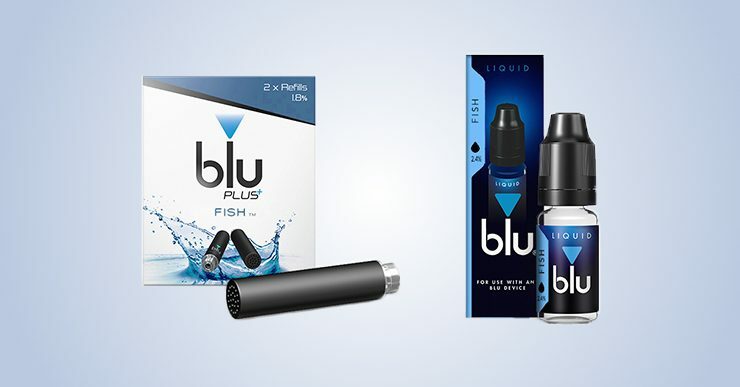 Unsurprisingly, there aren’t a whole lot of vapers who are looking for a fish flavoured e-liquid. That being said, we’re always interested to hear your thoughts and we’d love to get your opinion on what you think would make a great blu® Liquid flavour in the future. It’s your ideas that keep us moving forward, so make sure to get in touch on our Facebook and Twitter page. to save at the checkout.